Scott + Hespen Law: Helping clients navigate the probate and estate administration process for almost 25 years. Many people worry about who will care for their families when they are no longer able. At Scott + Hespen Law, our attorneys provide clients with peace of mind. Located in St. Paul, Minnesota, our law firm has helped generations of families throughout the Twin Cities create comprehensive estate plans that protect their property and their families, and plan for the future. 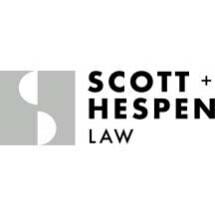 At Scott + Hespen Law, our lawyers create estate plans that protect our client's interest and property, provide guidance to family members and pass family legacies on to the next generation. Wills and trusts enable individuals to name guardians for minor children, dictate how property will be transferred upon their death, and ensure property is transferred to the appropriate family member in the most tax-efficient manner possible. Powers of attorney and health care directives allow clients to name trusted friends and family members to make financial decisions in the event of their incapacity and communicate their wishes regarding end-of-life health care. Our attorneys also represent clients throughout the probate and estate administration process. Everyone can benefit from an estate plan. At Scott + Hespen Law, we help clients create plans that protect their interests and their families and put their minds at ease.